When running a small business, there is need for every business owner to have a credit card that the business can use for paying off travel costs, staff expenses as well as other business utilities. 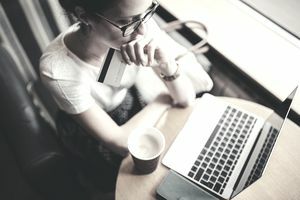 Before a small business decides on the type of credit card that it is going to use, it is vital for the business owner to have and consider certain factors. These include the card's annual fees; the interest rates the card charges and the bonuses every card issuer offers. For example, if your business spends a lot of cash on travel costs, then it would be a nice idea to get yourself a business card that gives travel bonuses. If you actually spend more money on buying office equipment, then the best card issuer will be one which gives you cash back bonuses on credit cards. This means that before any business owner gets registered for any given credit card, there is need for a thorough assessment on how much the business spends in terms of travel costs, supplies as well as reward points. There are those cards that are specifically meant to give credit savvy small business owners a lift when it comes to payment of business expenses since most of them do not have annual fees, low interest rates and have different types of rewards that small business owners can enjoy. Here is a quick look at the top 10 best business credit cards for small businesses. This is an ideal card for small business owners. It is offered by American Express and has no annual fee attached to it. First of all, this credit card gives you different types of bonuses that suit all the needs of small business owners. If an entrepreneur spends $5,000 in the first three months, you automatically get a $200 statement credit bonus. If you go ahead and spend $10,000 in the following six months, you again qualify for $200 as statement credit which adds up to $400. On top of this, the card holder also gets 5 percent back on purchases up to a maximum of $50,000 per year though this applies in the US only. This card also gives the small business cardholder the privilege to choose a certain category of 3 percent back that has a limit of $50,000 per year. This category includes travel, rental, advertising, shipping, computer hardware, restaurants and gas stations among others. After the $50,000 limit is reached, card holders in both the 5 percent and 3 percent enjoy 1 percent unlimited cash back up in all the purchases the business makes. Apart from the bonuses, SimplyCash also has no annual fee payment, a 0 percent APR rate on all purchases for the first 9 months and a purchase protection plan that reimburses you for stolen goods within 90 days of purchase. Small business owners should find a way of having the Chase Ink credit card to run their businesses smooth without a lot of hassles. First of all, after signing up and spending about $3,000 USD, you get a $300 cash back bonus. On the same note, if from the day that you register and use your card, you qualify for 5 percent cash back bonus for all the office supply and communication purchases that you make of up to $25,000 in a year. Alternatively, you also get 2 percent gas station as well as restaurant purchases using the card up to a limit of $25,000 in a single year. When you reach the $25,000 limit in a year, there is also a 1 percent cash back in any purchase that the business owner makes irrespective of the purchase category. There are no annual fees that the card holder pays in a year. However, money transfers cost 5 percent of the total amount while foreign transactions cost 3 percent of the total transaction. The business owner also can redeem accumulated cash back for all statement credits starting at $20. You can also turn your cash back into air travel expenses and this is a jackpot for business owners who spend most of their money and time on traveling. Lastly, it comes with an introductory 0 percent APR which for the first 12 months after which the APR changes depending on the prevailing rates in the market. Are you a small business owner who happens to be a frequent traveler? This is among the best business credit cards that you should be looking to have in the near future. Whenever you spent $1 on travel, you earn 2 bonus points and for any $1 spent elsewhere, you still earn 1 point. When it comes to annual bonuses, you are entitled to a 30 percent annual anniversary bonus. After signing up and spend $3,000 in the first three months, you will be rewarded with $10,000 membership reward points. There is no annual fee that a member is required to pay. Furthermore, whenever you spend $2,000 in purchases while in the US, YOU GET 10X points. When it comes to added benefits, this card enables you to transfer points to other airlines as well as hotel programs such as JetBlue and Hilton Hotels among many others. This card is most suited for small business owners who spend most of their expenses on travel as well as hotel chains. This is an ideal card for businesses that spend most of their finances or rather expenses using credit cards. To be very specific, it is meant for businesses that spend more than $10,000 annually on credit cards. This card comes with unlimited 2 percent cash back bonus on all purchases made. If the card holder spends more than $4,500 within the first three months, then the holder, in this case, you the small business owner gets $500 cash bonus. Another reason why you should look for this card is the fact that it carries no foreign transaction fees. It is one of the best simple credit cards that small business owners should have. Although this business credit card requires the cardholder to pay $450 annually, there are amazing rewards that one enjoys as long as the annual fee is paid. To begin with, within the first three months, if you spend about $10,000 when making office purchases, you get 50,000 membership reward points. You also get an additional 25,000 points after spending an extra $10,000 within the same period. For all purchases made under $5,000 at anytime, you get one point for every dollar spent. There is also a 50 percent travel bonus whenever you travel via your selected airline of choice. You will be able to use the membership points you have to cater for all or part of the airline travel expenses that you undergo while running your business. It is among the preferred credit cards that mostly fit individuals who run small businesses without a long line of expenditure. This is an ideal card for small business owners who mostly travel from time to time or rather on a regular basis. First of all, if you spend a single dollar by participating in Starwood rewards properties, you get to earn yourself 2-star points. All the other purchases made via the card gives the card holder 1 point for every dollar spent. There is no restriction as to the purchases that you have to spend money on. When the points accumulate, you can redeem them for a night in Starwood hotels. If not, you can still transfer your accumulated points to the travel programs offered by the card. If you transfer more than 20,000 points in a single transfer transaction, you get yourself 5,000-star point bonuses. On the other hand, if you spend more than $5,000 within the first three months, you earn 25,000-star points. Moreover, there is no introductory APR and the annual fee of $95 is waived after the first year. All these benefits show that this credit card is ideal for small business owners who love to travel frequently as well as those who love to visit the nearby cities and need accommodation when on a business trip. When you sign up for this small business credit card and spend at least $3,000 within the first three months, then you get to earn yourself $200 bonus cash. When it comes to annual fees, this credit card is absolutely free. On top of that, it has no foreign transaction fee or even balance transfer fee. This makes it an attractive perk for individuals who run small businesses. However, late payments will cost you $39. For the first nine months after registration, you won’t pay for any purchase APR. After the Intro APR period is over, the purchase APR rate will vary between 13 percent and 21 percent although this shall highly depend on prevailing market rates as well as your credit worthiness. All these privileges and bonuses that this business credit card comes with makes it a quite a bargain for you to have it. This is another credit card that is of great value for anyone who runs a small business of any type. Although it doesn’t have a signup bonus, it earns unlimited 3 percent cash back on all gas and cellular transactions of up to $200 per transaction. To add on top of this, the office supply purchases earn 3 percent cash back as well. On the other hand, you also get 1 percent cash back on all the other purchases. In every year, the card holder also gets 25 percent cash back bonus up to $250 and this depends on the year’s cash rewards. Also, the bank does not charge any purchase APR for the first 9 months you get to use the card. Just like in the other types of credit cards, the APR rate tends to change with time and this highly depends on the prevailing APR rate in the market. As a small business, you automatically need a card that gives you a high number of bonus and rewards. When you sign up and spend at least $3,000 in the first three months, then you get an unbelievable 20,000 bonus miles. For every dollar spent on purchases, you earn 1.5 bonus miles. When miles have accumulated to a considerable amount, you can redeem them for air travel related expenses. Furthermore, the card has no annual fees and neither does it come with foreign transfer fee or balance transfer fee. However, any late payment attracts a penalty of $39. On the other hand, there is no purchase APR rate for the first nine months. After the grace period is over, the APR rate shall be set between 13 percent and 21 percent although this mostly depends on the rate which is currently prevailing in the market. When running a small business, it is obvious that one of the things that you need to ensure is that your expenses are very low. This will give a chance to grow your business since most of the cash inflow shall remain in the business. One of the ways one can achieve this is by ensuring that you use a business credit card that gives you different types of rewards and bonus. A good business credit card should be able to give you cash back bonuses, travel bonuses as well as freedom on how to use the credit card. The cards listed here are among the best business credit cards for small business owners in the market meant to meet all the needs of a small business owner. Therefore, if you don't have one of the cards listed above, take the time to research and apply for one as soon as possible.